A Day Dreamer's World: DISCUSSION: Does reading have competition? Wait! Don't judge me writing that just yet! This blog post definitely has a point! I woke up this morning, and since it's Friday and clearly felt extremely tired and ready for the weekend, to see a discussion taking place on my television. The discussion was all about how reading is competing with iPad's and other game devices for a child's attention - or, in my opinion, everyone with the ability to tap a button and have an entertaining-for-hours game with an annoying tune playing in the background. So, this discussion post was born! Does reading really have competition from 21st-century past-times? Is it going out of fashion as the technology comes in? Is there always time for a book - despite how much the new phone app is entertaining you? 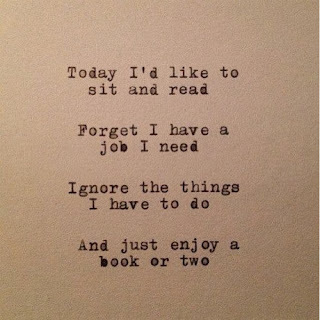 Let's face the fact, in my eyes there is always time for a book. Any place. Any time. I don't feel like myself without a book in my hand or safely tucked away in my bag: it's just a part of who I am. I feel more comfortable knowing I can pull a book out and go to another world within minutes. I understand people have busy-lives: I'm currently drowning under GCSE coursework, as well as still attempting to take on whatever life feels like throwing at me next. I, personally feel like reading is left-out as it's just dismissed as 'not-important' when, it should be a part of everyone's daily routine. Since the discussion I watched earlier was about children, and that so many of them think it's 'un-cool' to read, I can't help having to mention that it's much more convenient for a parent to slip a games console in their child's hand than spend half-an-hour telling them how to pronounce each word. The fast-paced, momentary-thrill of apps and games on an iPad - or in my case the Kindle Apps I have is enjoyable. I've had games I've spent a lot of time playing over the past few months, but I always go back to books. Children avoid reading because not many people spend time taking their children to the library or encouraging them to read. This needs to happen! We can't expect children to find their own way to the books they'll enjoy, and adults need to make time too! If you're excuse is, "I'm always busy with work" I'm afraid that I know you have breaks. I'm not-so-sorry to tell you that you could easily read while taking a bus-ride to work, or commuting on the train. Those times - Dad - you spend sleeping mid-afternoon. Pick. Up. A. Book. 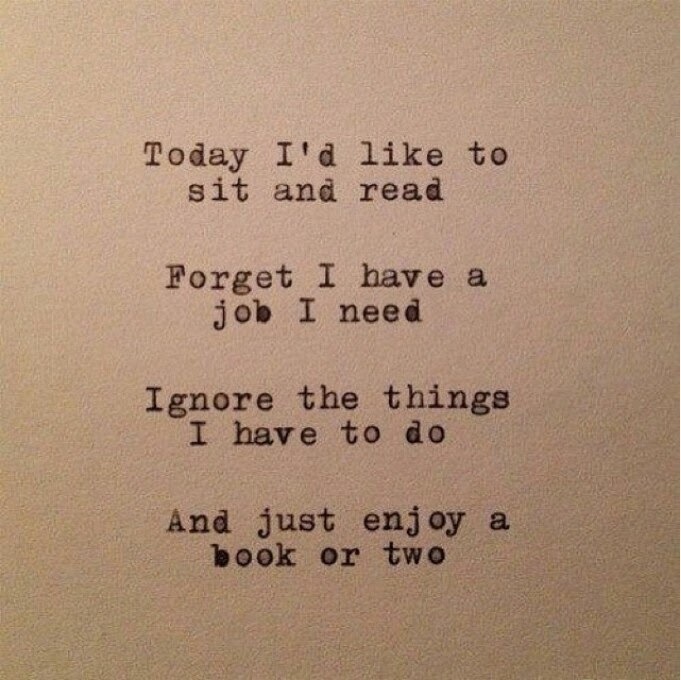 I don't think reading has competition - I think it's made out to be time-consuming. Which, of course, it's not. I think the fact of sitting and trying to make your child read, or teenagers sitting down with another book after spending hours in school going through Shakespeare texts and analysing every sentence, is scary. Scary, it's a nightmare for most people but, reading shouldn't be judged. The simple, light games are easy and enjoyable but, reading takes the slightest bit of effort. I mean, take your child to the library, teenagers try reading instead of following the crowd and demeaning it unpopular and boring. Pick up a book - and maybe this will be your reaction. Reading will never have competition. Reading is it's own, wrapped up and carefully packaged, past-time. It has an ability to make you laugh, cry and want to talk to everyone person you can find about what you have just experienced. To say it has competition is not the right statement. To say it takes longer than a five-minute game that is full of bright-colours and interesting characters, and that it takes more concentration is right. Children struggle to concentrate, of course they're going to lean towards something fast and easy. Once again though, I wish the book blogging world was known about when they're arguing over whether books are becoming less popular. A decade ago, we didn't exist. Us book-lovers are here and if you know that, I think it's clear reading will always go on. As we keep our local libraries open single-handedly anyway. What do you think? Does reading have competition? Or do you agree it's all to do with making the time? You may be wondering where my monthly wrap-up is and if so, I didn't get up to much during September so have decided to include a small re-cap when I'm talking about my experience at Bath and Cheltenham Literature Festivals on Monday! I'm meeting Lucy from Queen of Contemporary tomorrow, as well as one of my favourite authors Siobhan Curham. I may be freaking-out! I don't think reading is becoming out of fashioned but technology is certainly taking over. I think it really depends on the sort of people because obviously some people don't read and some do. I think parents definitely should encourage their kids to read because you can have a good balance of gaming and reading. But think about it, there are those nerds who are gaming 24/7 and then there are the geeks reading 24/7. It really depends on the people. I think all of us reading your blog are those who will readily agree that reading is nearly always a priority. In the world at large though, sadly I think many will have it very low on their priority list. It's a sad but true point. Most families can't be bothered to help their kids read, even though it helps them in school as well as is just amazing, and would rather stick them on a tablet. In my house, me and mum constantly read, and my brother and sister do a bit (though they're a bit young so not much attention for it yet) and I know my brother-to-be will too. We're bookish people- our cat is called Mog after Meg and Mog- but a lot of people aren't any more. I couldn't agree with you more about how time consuming people who don't read believe reading to be. My brother, my flatmate, my work colleagues have all cited that as their main reason for not reading, or not reading more often. love the photo on your blog :) very pretty! This is a great discussion! If reading is declining in children, then I don't really think it's because of all the games on iPads, iPhones, or whatever. I mean, there's always been games people can play. I really think children need to not only be encouraged to read by their parents, but to also SEE their parents reading. If their parents make time to read, then the kids will see that it's enjoyable and worth the time.